Issue totals include foundation funding that could be identified as meant to address a specific issue. 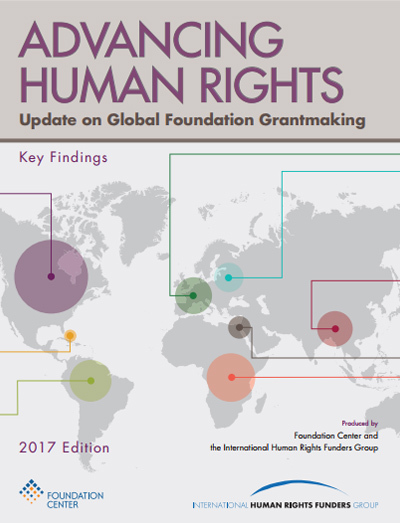 In order to provide unique totals and avoid double-counting, each foundation grant has been assigned to exactly one issue category within the human rights taxonomy. Population totals include foundation funding that could be identified as meant to benefit a specific group. Grants may serve multiple populations and would therefore be counted in more than one category. Strategy totals include foundation funding that could be identified as supporting a specific strategy. Grants may employ multiple strategies and would therefore be counted in more than one category. Description To strengthen Libyan civil society leaders' understanding of democratic values and capacity to lead civic initiatives, foster dialogue on key issues related to Libya's political transition, and advocate for freedom of press and association. Description To advance legislation on women's rights, provide psychosocial and legal services for survivors of violence, and provide literacy and vocational trainings for rural women.